Press Cloud has released its Content Marketing & Media distribution Services to help local businesses grow. CAPE TOWN, WESTERN CAPE, SOUTH AFRICA, July 11, 2018 /EINPresswire.com/ -- In a slightly different approach to launching its new Media Distribution service, Press Cloud, a Content Marketing company in Cape Town has decided it will be offering free value based consultations on how to grow your local business, and this is expected to take place 1 July 2018. Where most businesses tend to just send out newsletters, Press Cloud has decided to be a little more Exciting with the start of its new Media Distribution service. Seth Collett, CEO & Creative Founder at Press Cloud, says: "We wanted to be Inspiring with the launch of our new Media Distribution service because We wanted to show our customers that we care about there growth. It should be really worthwhile and we're hoping it will bring people a lot of happiness & help the local community to grow. It should go great unless People might think its too good to be true...lol!" Press Cloud has always made a point of standing out when compared to other Content Marketers in the Cape Town area. This launch celebration is just one of the many ways it does so. This is a great chance for Cape Town residents to experience something new & unique and support a dedicated & caring local business. Press Cloud has been serving the Cape Town area since May 2018. To date, it has served customers and has become recognized as Helping local business gain visibility online & Increase customer base.A value-based questionnaire can be found online at https://presscloud.net/customer-questionnaire/. Seth Collett also said: "While Press Cloud may not be the only business with this kind of offering, local residents are choosing Press Cloud because we help local businesses get more customers ." When asked about the new Media Distribution service, Seth Collett said: "We know it's going to be a huge success because most companies want more customers". 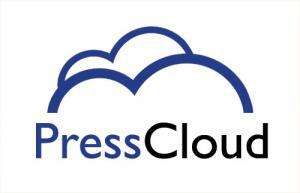 Further information about Press Cloud and the new Media Distribution service can be discovered at http://presscloud.net.